Tony Kelly of Ballyea in action against Cian Diillon of Crusheen during their quarter final in Cusack Park. Photograph by John Kelly. 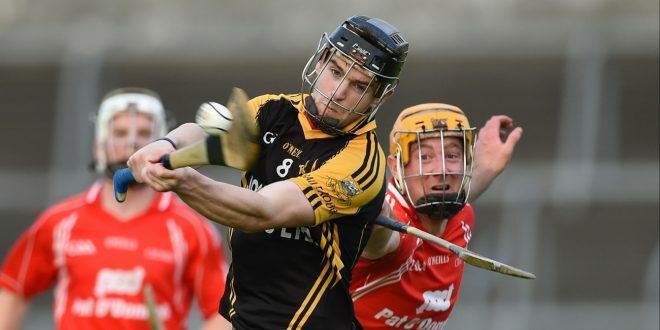 An eleven point haul from Tony Kelly helped steer Ballyea into the Clare senior hurling championship semi-final when they recorded a 1-18 to 0-13 win over a fancied Crusheen at Cusack Park this Saturday evening. Crusheen started as if they were going to score a comfortable win, racing into a 0-7 to 0-1 lead after fourteen minutes. From here on it was a different story, however, as Ballyea took over and when the half time whistle sounded they were five points clear, 1-9 to 0-7, the goal coming from Gary Brennan on the stroke of half time. They continued to hold the upperhand in the second half and by the three quarter stage they had stretched their lead to eight points, 1-15 to 0-10. In addition to Kelly, Gearoid O’Connell, Paul Flanagan, Jack Browne, Brian Carigg, Cathal Doohan and Gary Brennan were prominent. Clonlara are also through to the semi-finals after they had a hard earned three point win over Tulla, 0-15 to 0-12, at Cusack Park. The winners raced 0-5 to 0-0 clear inside twelve minutes and they were 0-8 to 0-1 in front after twenty minutes. Tulla finished the half with three unanswered points to level the tie and they scored the first four points in the second half to level the tie at 0-8 each with must seven minutes of the new period played. Clonlara bounced back with three points and they were two in front when Tulla were awarded a penalty with six minutes still to play. Ger O’Connell dived to his right to save David McInerney’s effort and Darragh Corry saw his effort from the rebound hit the side netting. Kilmaley and Newmarket will have to meet again to determine who will drop down to intermediate level next season. Their eagerly awaited meeting at Sixmilebridge was a hard fought affair which saw Newmarket hold a one point lead at half time when the score was 0-10 to 0-9. Kilmaley went ahead early in the second half and were two points in front as the full time whistle approached. Two pointed frees saw Newmarket draw level at 0-15 each. 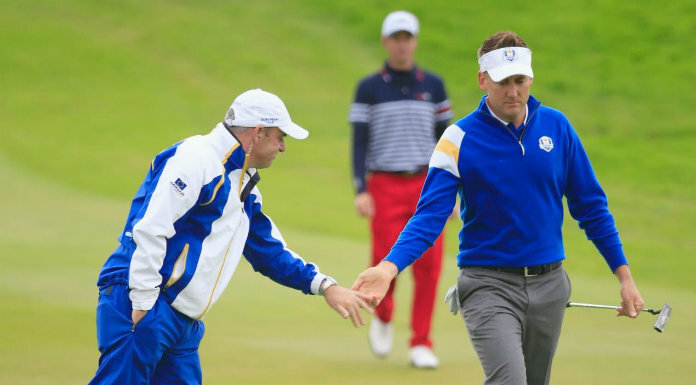 The replay is expected to take place in two weeks time. O’Callaghans Mills booked a place in the senior B final with a 3-19 to 1-19 win over Clarecastle at Gurteen. 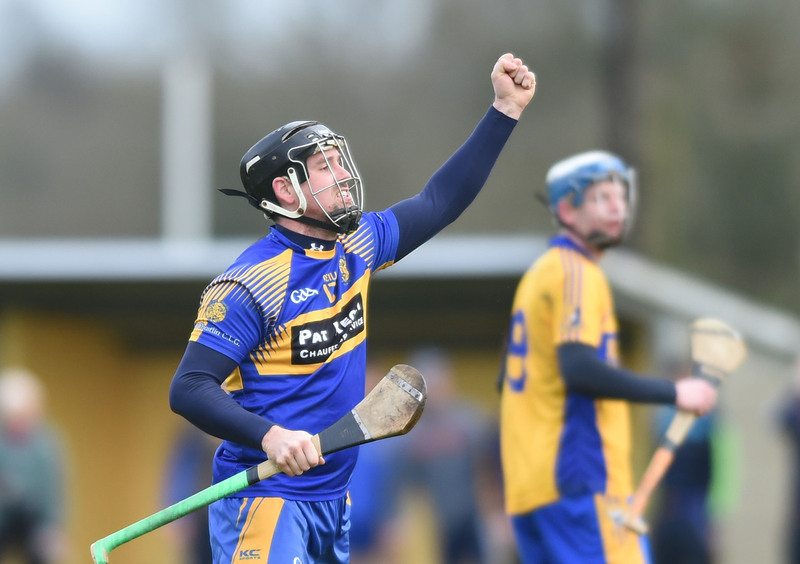 In the intermediate championship, Sixmilebridge and Broadford booked their places in the semi-finals when they defeated Cratloe and Scariff respectively while Ogonnelloe progressed to the junior A semi-final with a 1-18 to 1-11 win over Meelick. Wolfe Tones advanced to the junior B hurling final when they were 2-18 to 4-8 winners over Tubber while Eire Og secured their junior A status for next season with a comfortable 0-13 to 0-4 win over St. Josephs.